Skye Gravestones | Norman Nicolson. 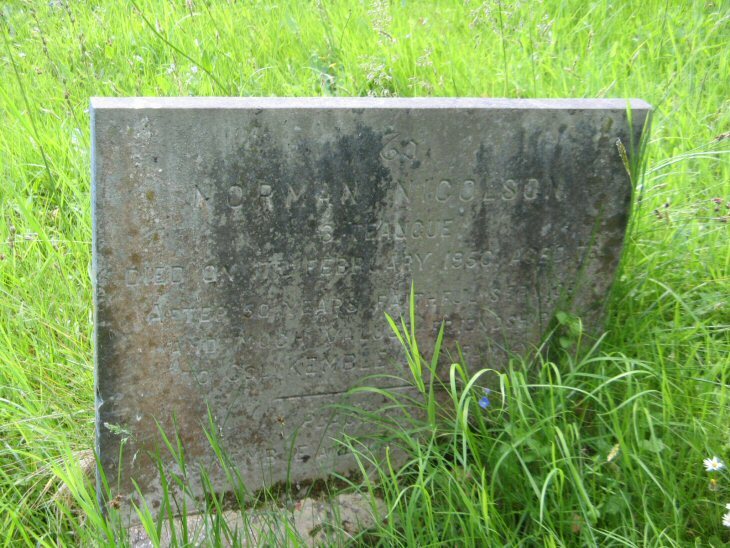 NORMAN NICOLSON/3 Teangue/died on 17th February 1950 aged 76/after 50 years faithful service/and much valued friendship/to Col. KEMBLE and family. Placed by/Mrs KEMBLE and Captain KEMBLE.